A new, deeply relaxing and uniquely personalised hot stone massage that gently releases tension, soothes aching muscles, eliminates toxins and calms mind and body. The secret is the intuitive way the therapist uses her hands in harmony with 9 smooth, individually shaped, heat-releasing marble and slate stones. Intensified by melting honey massage gel, rich in relaxing aromatic essential oils. The highly personalised and energising nature of this new hot stone massage gently releases muscular tension, eliminates toxins and restores mind and body vitality. Again the secret is in the intuitive way the therapist uses her hands in harmony with 9 smooth, individually shaped, thermal and energising marble and slate stones. 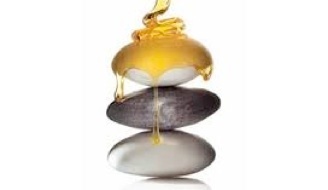 And it’s enhanced by a melting honey massage gel, rich in invigorating aromatic essential oils. A line-up of six highly personalised results-driven facial treatments.